What do I do now? 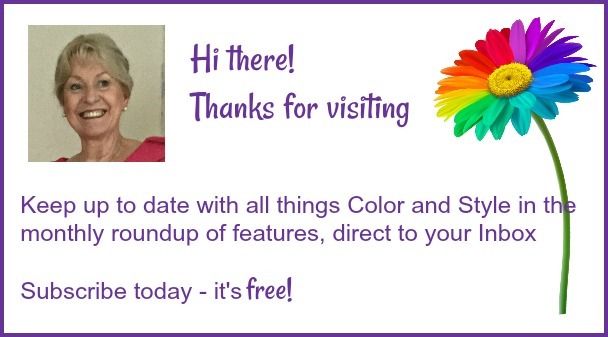 That's probably the first thing most of you say when you first hold a brand new color swatch in your hand! 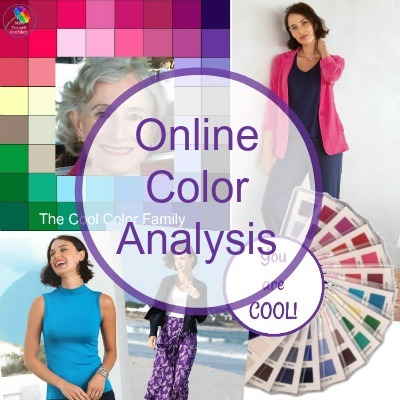 How do you begin to translate those beautiful colors into your wardrobe? I'm thrilled and privileged to share these fabulous photos with you. 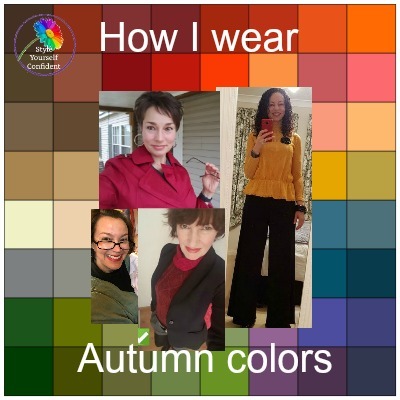 All these ladies have had Online Color Analysis and are kind enough to share with us the way Autumn colors work for them. This is such great visual inspiration! 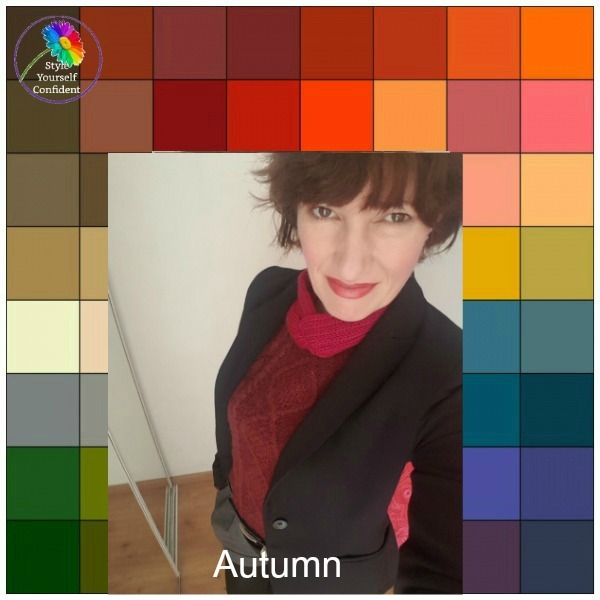 Most women with medium to deep coloring are automatically drawn to darker tones and find the Autumn palette easy to incorporate into a wardrobe with their existing neutral shades. Christina - has very dark hair and chooses to mix the brilliant Autumn colors with her love of black. 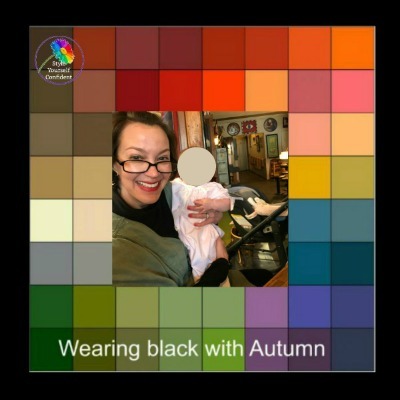 Black is often a no-no for Autumn coloring but it's the perfect foil for the rich Autumn shades for Christina. 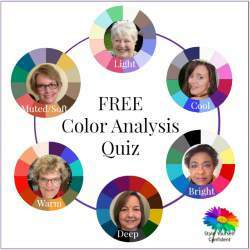 Following her color analysis, she said: "It's absolutely wonderful. 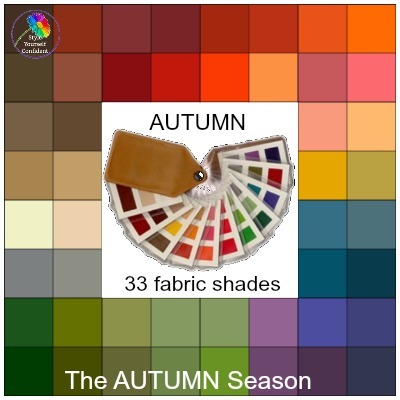 I had a feeling I was going to be either Autumn or Winter so this has confirmed it and I'm very excited! 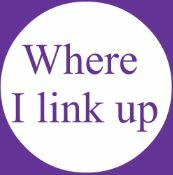 I am actually rebuilding my wardrobe 'from the ground up'. Most of my clothes no longer fit me as I've lost weight so I'm literally starting from scratch. 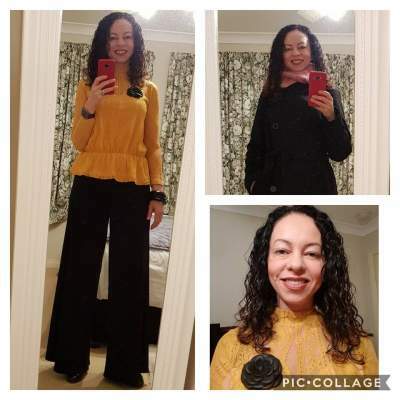 I absolutely love the idea of a capsule wardrobe to start off with so I'm trying to come up with a colour palette based on the analysis you've given me. I've spent ages trying to find good matches to tomato red, mahogany, olive green and teal. Am also thinking perhaps true red, sea blue and like the darkish maroons e.g. 'bordeaux' not quite sure whether that would be ideal". Pamela says: Actually Bordeaux is a great color, it's impossible to include every color on a swatch so don't feel intimidated. Many deep maroons, burgundy, claret etc. will work with the Autumn palette. 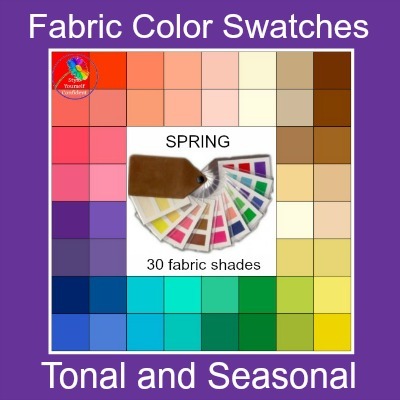 See how they harmonize with your color swatch. 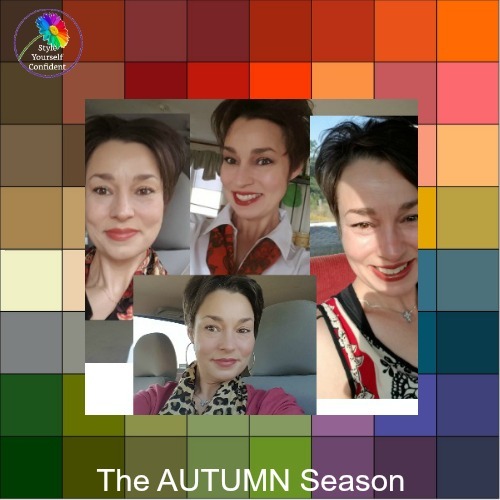 Donna - "Just sending you some pics of me in my Autumn colors. I feel so very attractive in these. 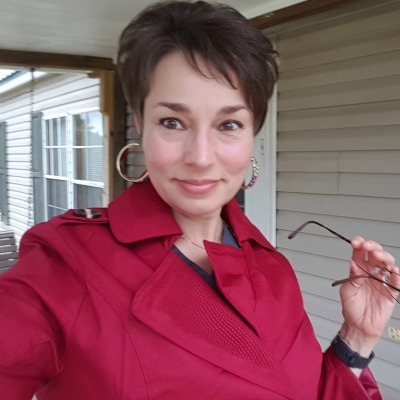 Some are softer some are richer, but they are all Autumn..."
Donna looks particularly good in all the Autumn reds and often uses a leopard print to add some punch. Leopard print has actually become a neutral but it always looks best with the Autumn shades. 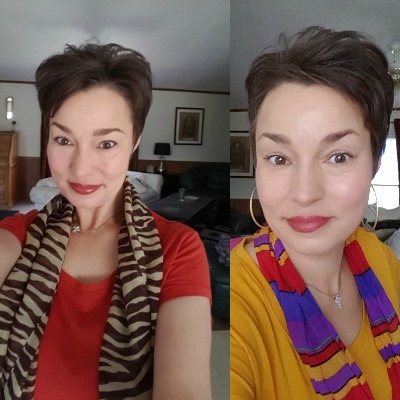 She's really good at finding an Autumn print scarf and teaming it with a color that may not be her best and needs a lift. Two more ladies who wear black instinctively are Amy and Laura. Both found that they were able to fit the Autumn colors into their wardrobe very easily. 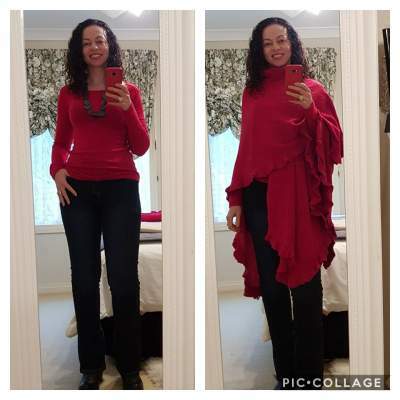 How do you wear your COLORS? Will you share a photo with us? We'd love to see how you wear your COLORS. Your photo may be featured but your contact details will never be revealed.